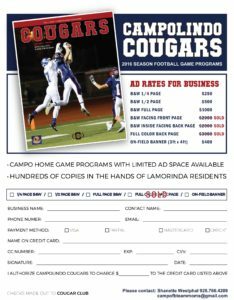 Promote your business in the 2016 Cougar Game Day Program! Your ad will run in a minimum of 5 regular season home game programs. 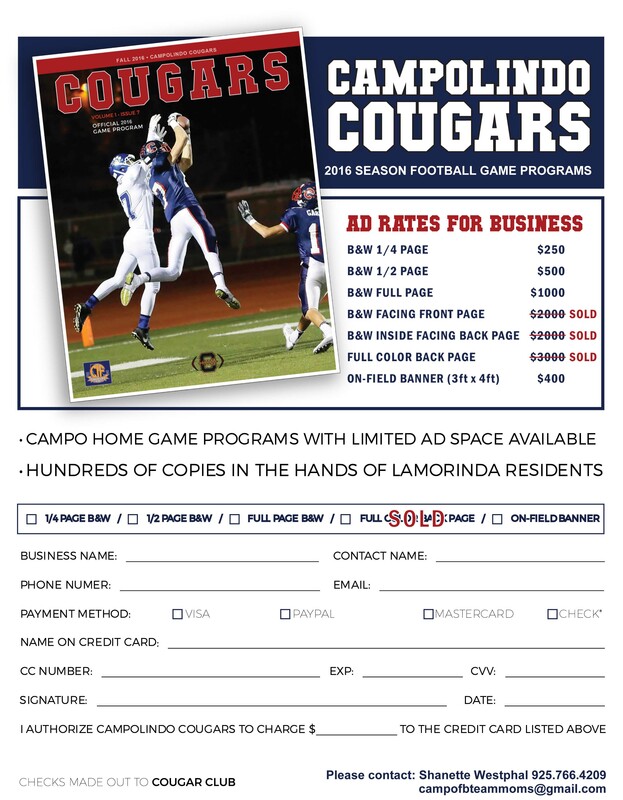 Support Campolindo Football while getting exposure to hundreds of potential local customers. Check out the 2015 Game Day Programs! Art work due August 19th to campofbteammoms@gmail.com.